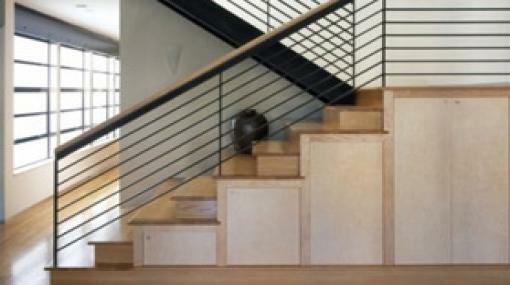 Freshening up staircases made of durable hardwoods such as oak is a much better idea than replacing them. Overlooked in the past, risers are often highlighted nowadays. 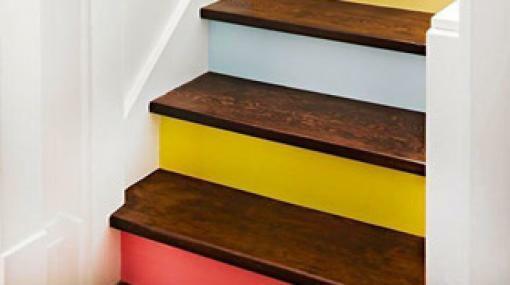 The current trend is to play the contrasts and paint them a different colour from the treads. 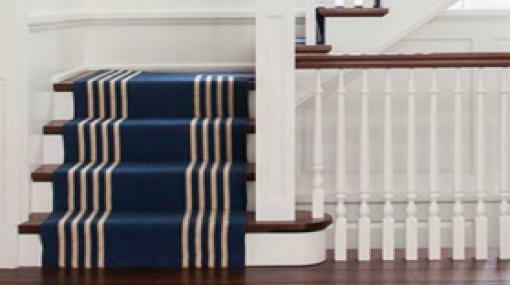 In addition to making stairs safer, thanks to increased friction, carpet runners also improve your comfort and absorb noises as you step up and down the stairs. It's not always necessary to redo the entire staircase to modernize it: replace a damaged handrail or out-dated balusters and watch it spring back to life. 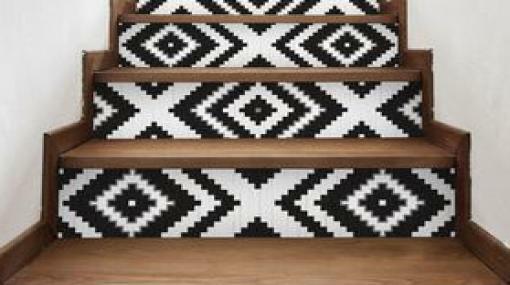 You can sometimes improve the overall appearance of stairways by refinishing the adjacent walls or using ceiling accents. 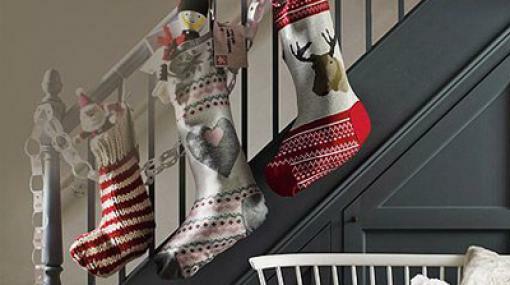 Absolute must, your staircase also deserves a warm touch for the holidays. Here are 6 easy DIY ideas.